Welcome to my MasterClass Review! There are a lot of MasterClass reviews published on the web nowadays. That alone gives me an idea that many people have been enticed to enroll in its courses and learn lessons from famous personalities. For $180 per year, you would get loads of pieces of information at your own pace from these kinds of people you’d never think will teach you their valuable lessons and share their personal journeys upon developing their craft to its perfection. Would You Like to Make Money Online? Yes, I Want to Make Money Online! Before we go through the whole post and tackle the different angles of this new online educational learning platform, let me introduce you to Roope’s #1 recommended business opportunity in which the lessons you’d learn will give you a rare chance to earn a steady income per month. Are you ready? Let’s dive into it. Shall we? Best for: Enthusiasts who want to learn more about a certain field from a famous personality that teaches it in accord with personal experiences developed over the years either as celebrities, best-selling authors, among others. Summary: MasterClass Online Courses, simply known as MasterClass, is an online learning platform wherein the students enroll and get all-access to different classes managed by respective famous personalities in various fields of expertise i.e. cooking, writing, acting, etc. Is MasterClass Online Courses Recommended? Yes, it’s one of the leading online educational learning platforms the majority of bloggers and other students recommend. If you want to maximize your skills and turn it into a powerful weapon to earn more money this year, click the green button below and get started now. How to Make Money with MasterClass? MasterClass Reviews [UGLY] Truths Revealed! What I Like About MasterClass? MasterClass Reviews - What Others Say About Everything? MasterClass Reviews - Is It Legit? MasterClass Online Classes, simply and famously known as MasterClass, is an online educational learning platform based in San Francisco, California. Founded by David Rogier (film editor and director) and Aaron Rasmussen (entrepreneur) in 2014, together they built a great platform with an ambitious vision: To invite the world-renowned personalities in various fields to teach their craft to the masses. Albeit the scale of the project, the two visionaries established the program with a few courses initially. Today, there are a countless number of famous instructors like Natalie Portman teaching acting, Gordon Ramsay teaching cooking, among others. No More Scams, Lies & Get Rich Quick Schemes. Get It Now! I Want to Make Money Online! As a student, you have 2 options to get into the classes. It’s either you pay $90 for that specific class or pay as high as $180 per year to get the most of these classes without minding too much and save more money. Either of these options will give you the most benefit anyway. The decision lies on you. Once you registered and officially enrolled to a specific class or wide range of classrooms (if you paid the annual payment), you will receive a confirmation via email and preparatory instructions prior to the invitation to go inside the class. Afterward, you receive the necessary materials needed to understand the lessons as much as you could from the instructor per se. Also, you will be given access to the online community and/or access to submit your questions and other concerns about the lessons to the instructor. The process repeats in the next set of class you’re going to take. To answer this question, it’s best to get into Dan Lok’s high-income skillset training perspective. If you’re familiar with his triad paradigm of earning wealth, you’re going to understand what I’m trying to point out here. Basically, upon building your fortune from scratch, you need to have the following: 1) high-income skills, 2) scalable business, and 3) high-return investment. With these 3 fundamentals of financial success, you need to develop the first requirement: your high-income skills. This is where the necessity of MasterClass and its underlying courses come into the picture. 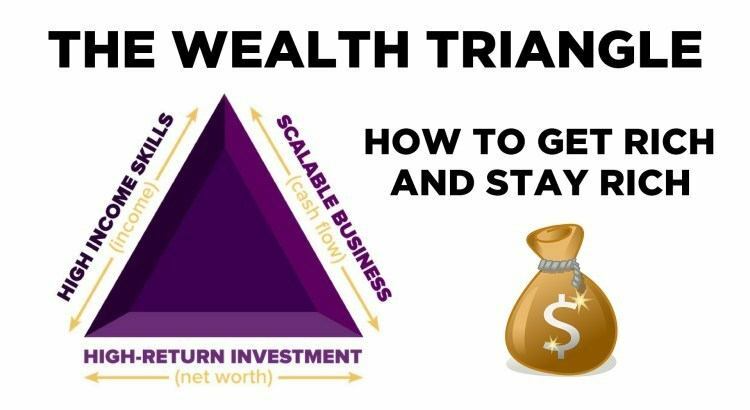 The Wealth Triangle Dan Lok, a famous influencer, introduced to earn wealth by crafting high-income skills from beginners' level to the advanced until perfection. To make money with MasterClass, you have to put yourself into the beginner’s level with an ambitious goal of learning as much as you could to a certain field of specialization. For example, writing. With my previous post about Serious Bloggers Only Review, Jon Morrow emphasized the power of writing and how it affects overall performance as a blogger as well. If you’re skilled with the mentioned craft, nobody would turn down an offer to hire you and pay you higher than any regular employee. Further, MasterClass opens their slot for the best and competent employees as they are currently hiring for specific jobs to those who are interested to work with a high-powered team of 200 people, working behind the scenes. If this suits your taste, then this option is also good for you. As much as the online learning platform sounded great, the Better Business Bureau didn't give them their accreditation status because of the lack of sufficient information about the company and its executives. In addition to the previous point, the same platform also gave them a rating of D in spite of the global scale and ambitious their mission is, working alongside the renowned professionals in the field. When you enter a class intended to learn some insights about writing, you feel like the instructor talks to a wide range of people. According to Bryan Collins of Become A Writer Today, he wrote, "The creators of MasterClass are going after a wide audience." That clearly means you feel like they're speaking to many people with a wide range of interest rather than specifying the students per se. Unlike other online learning platforms out there, Udemy, for example, MasterClass doesn't have this option, apparently. You have to get back to the website and review all the videos. Otherwise, you won't have any other access at all because the platform doesn't allow you to save the videos to your device. What MasterClass provides is the basic or the foundation of every field of expertise. This clearly means you won't learn any advanced lessons from the instructors except their deep insights about it based on their long journey of the craft itself. Nothing else more. Some of MasterClass instructors savouring their time on their students away from usual day of life. What you get from these influential persons are their deep insights and their personal journey. You won’t get to see them teach the actual lessons like the specificity of each as you expected an online learning platform should be. Unlike Udemy, edX, and other online educational learning platforms existing today, MasterClass doesn’t give free access even to limited time. 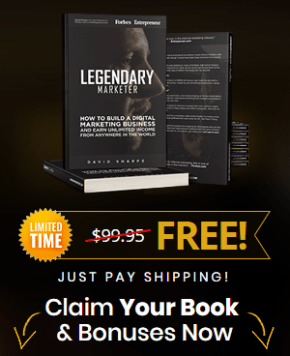 Get My Free Guide Now! At least, we, their potential market, could get a glimpse of how it feels inside each class. Unfortunately, they don’t give such an opportunity. Where could you get the 25 recorded videos of Gordon Ramsay teaching the basics of cooking? Do you think you could get in touch with his lessons for a few hundred dollars? I don’t think so. The same thing with learning writing from best-selling authors James Patterson, Neil Gaiman, and Malcolm Gladwell. No need to say more. In each class, you will enjoy an average number of 25 videos that support the materials attached like the PDF and other sets of homework, which are necessary for your learning process. That’s for $180 per year of limitless high-quality lessons from renowned artists you thought you’d meet on television. But there you are, listening to their classes teaching you their craft. I personally experienced how fast their customer service is when it comes to answering queries. After you sent them your concern, they typically reply at least 24 hours before they get back to you with their corresponding answer. That’s a good thing about this platform. 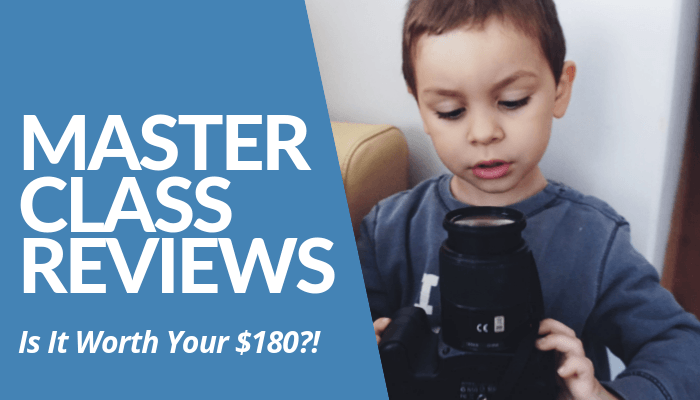 Most of the bloggers, who tried and paid for the classes, mentioned that MasterClass is worth the money. Albeit its lack of actual teaching and specific lessons to specific students, they remain adamant in recommending the platform to their followers. As someone who’s been a big fan of these educational learning platforms as me, MasterClass is a great hub for those who wish to upgrade their high-income skills from world-renowned personalities in exchange for a cheap price worth $180 per year. With that being said, there’s no doubt Rogier and Rasmussen’s initiative turns out to be a great one as more and more potential learners crowd on their website and get access to their endless number of courses with a wide range of fields of specializations. Based on personal experience and research about this online learning platform, there’s no doubt that MasterClass is legit and is worth the money. If you want to test it out, you can directly go to their official website and click learn more to see different courses you can try. Unlike other learning platforms, this one has a great number of recommendations from bloggers, who experienced MasterClass and had a positive review about it on their respective websites. That alone is enough proof for you to improve your high-income skills and earn more, closer to your potential fortune. 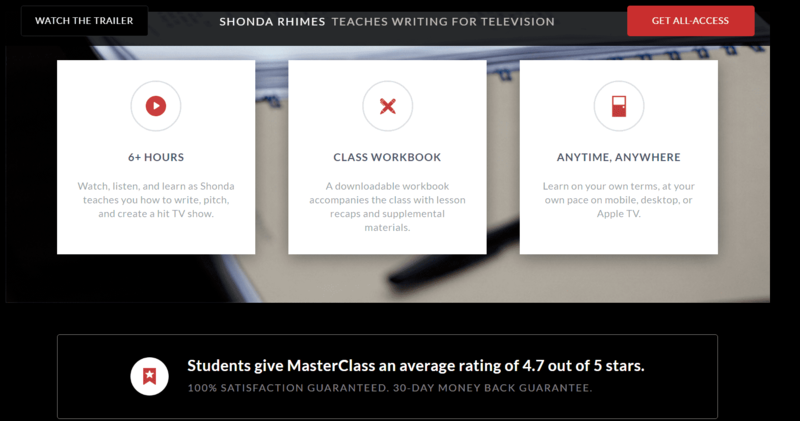 Shonda Rhimes course content for screenwriting, one of the hundreds of courses on MasterClass. As I mentioned earlier, there’s no other way to get close to your prospective wealth other than developing your strength and turn it into a fortune magnet. Of course, it takes some time before the Return of Investment (ROI) comes into the picture. But, at least, it’s a legit and steady form of monthly income for your sake. 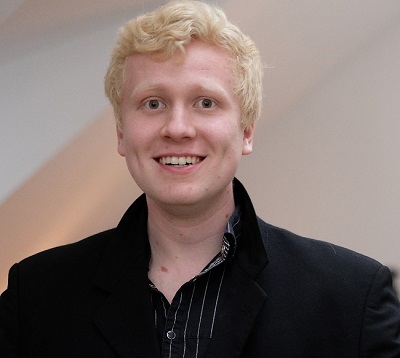 With that being said, Roope “Robert” Kiuttu, founder of Your Online Revenue Ltd and successful affiliate marketer, has been doing the same thing that allows him to earn more or less $2,000 within 20 hours. Yes, making money online enables you to travel around the world and an ultimate freedom but you must be willing to work for it. He mastered the money-making process for 4 years in the industry. Now, he’s able to leverage himself and helped more than 3,000 individuals under his belt. That’s because of his non-stop will to improve his affiliate marketing skills and other high-income skills needed for making his fortune. If you are serious with earning residual passive income this year, Roope recommends you to take this FREE program training that’s going to give you a glimpse of the new business opportunity. Now that I shared my thoughts in my MasterClass Reviews post, it’s time to turn the table and ask about your experience with this company, in general. What kinds of experiences do you have with MasterClass? Are they worth your time, money, and effort? Do you prefer to begin earning your first passive income through affiliate marketing or you rather invest in partnering with an online learning platform as MasterClass does? If you need any help to get started making money online, don't hesitate to ask in the comments below and we'll be happy to help you out! Get Started With OnlineJobs.Ph for FREE! Hi, I'm Mecyll! 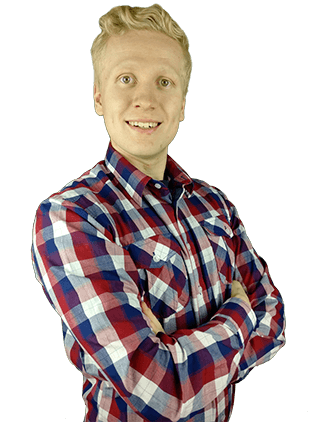 I'm a full-time writer in Your Online Revenue, dedicated to dig into the world of making money with Roope. When I'm not spending time writing reviews, I'm writing novels and blog posts on my own website. And Get Your First Sale In 15 Days! SORRY... just 1 quick question!